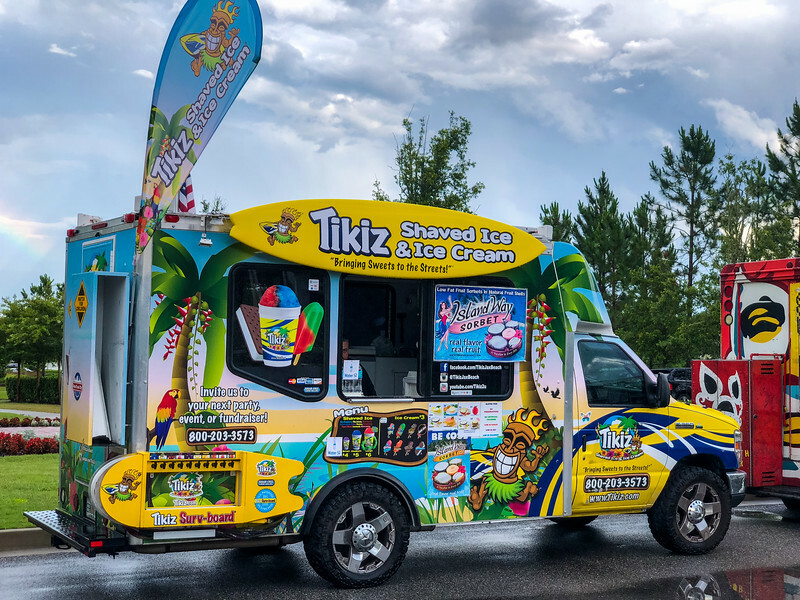 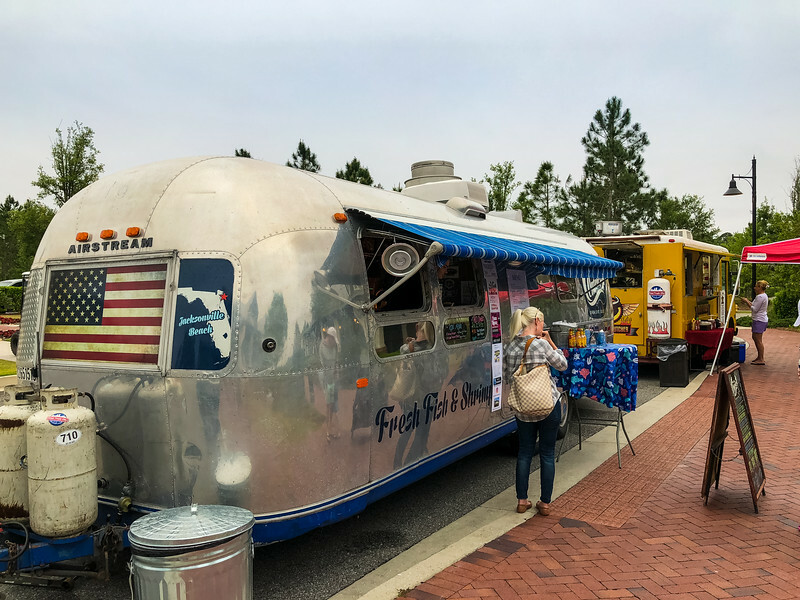 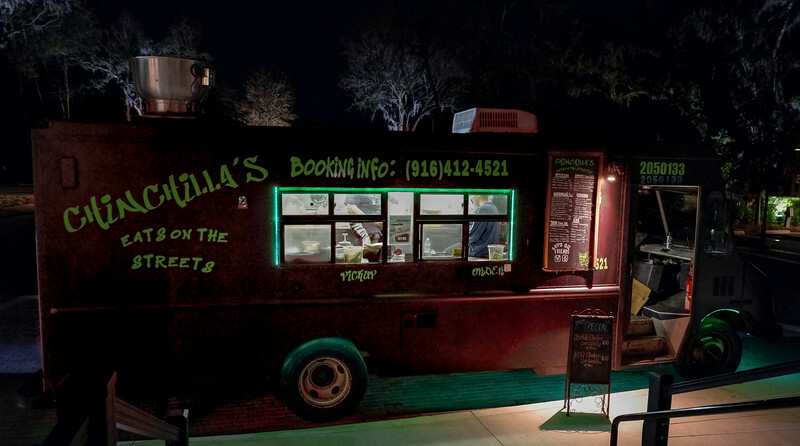 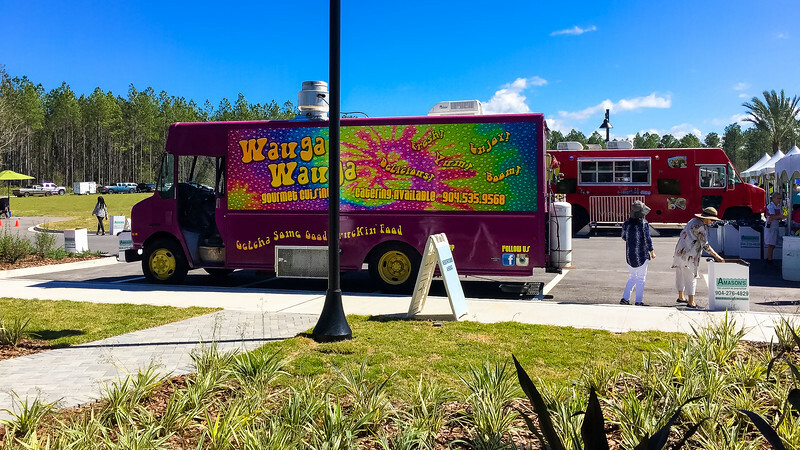 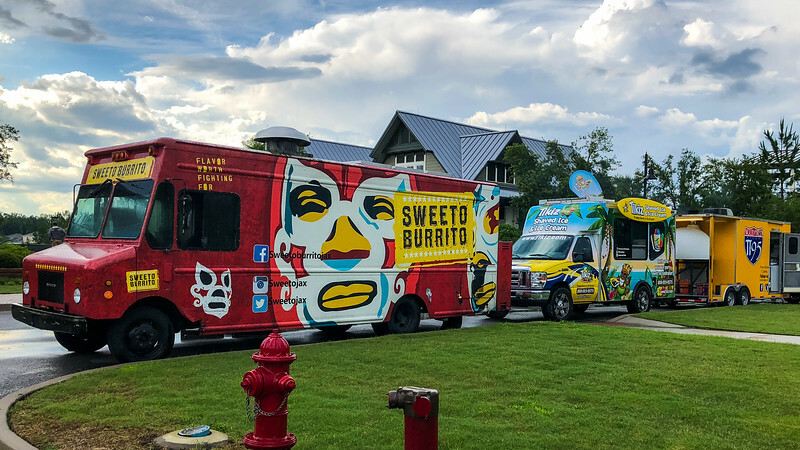 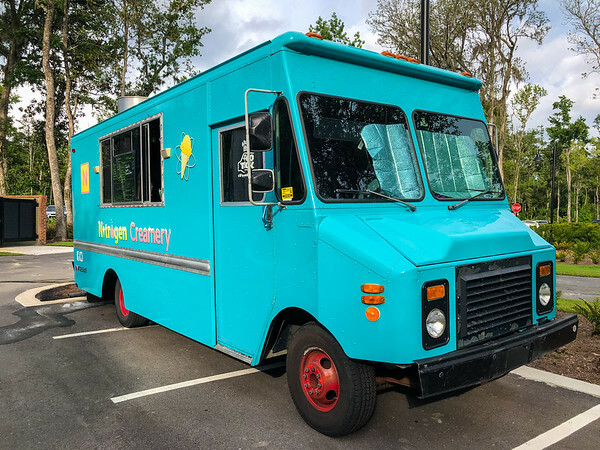 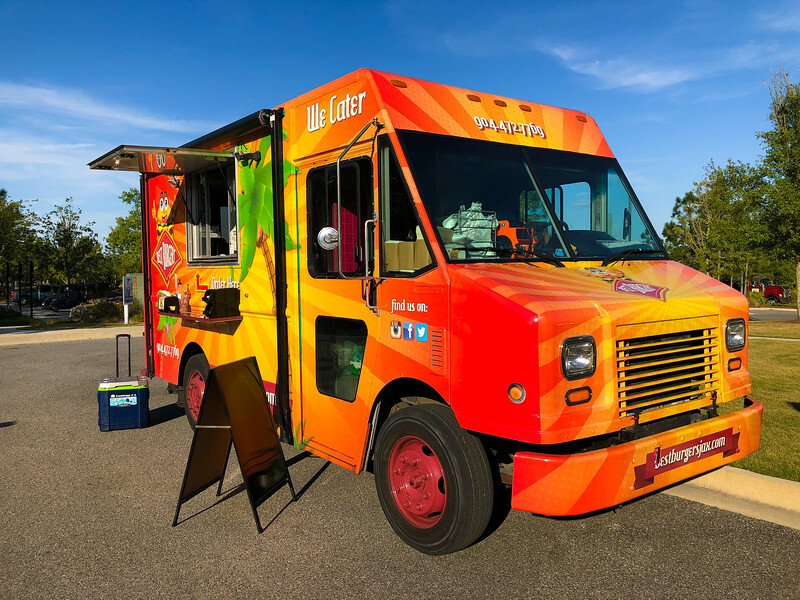 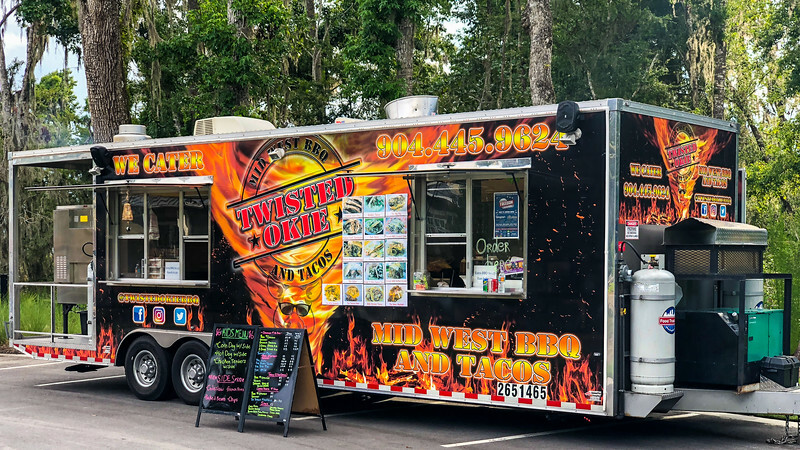 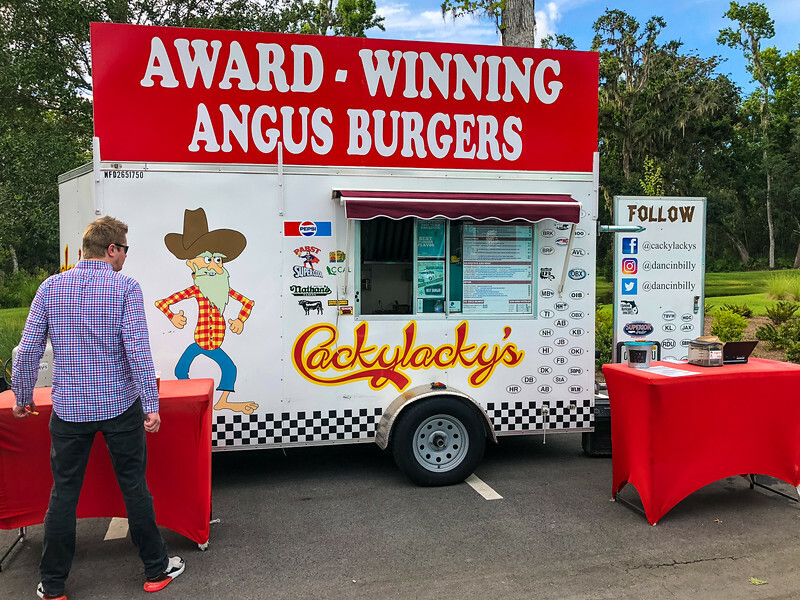 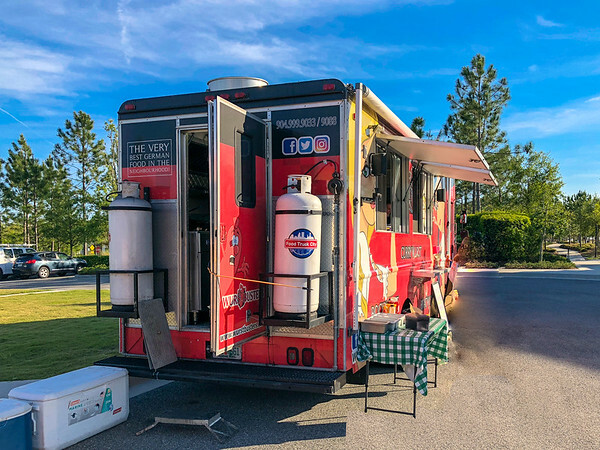 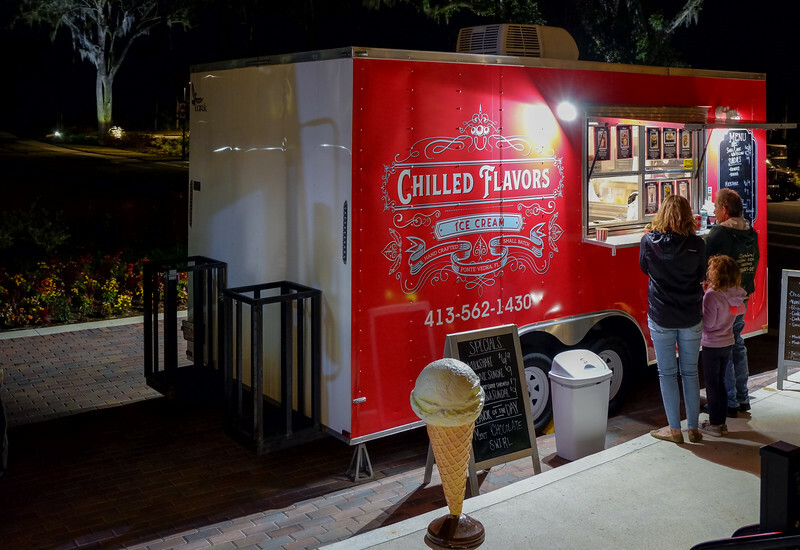 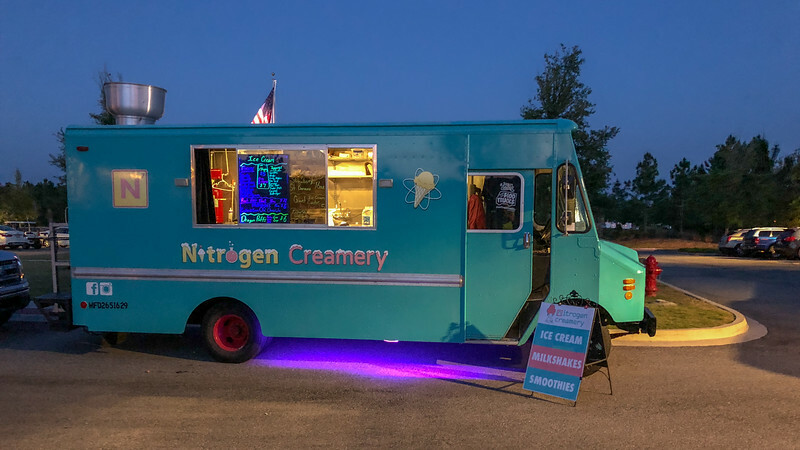 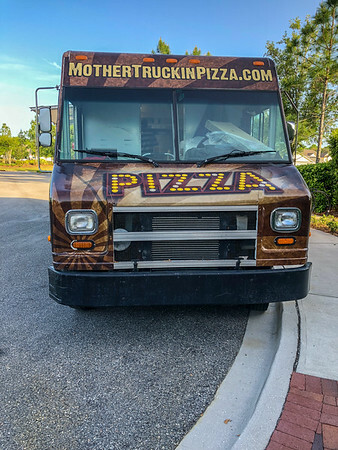 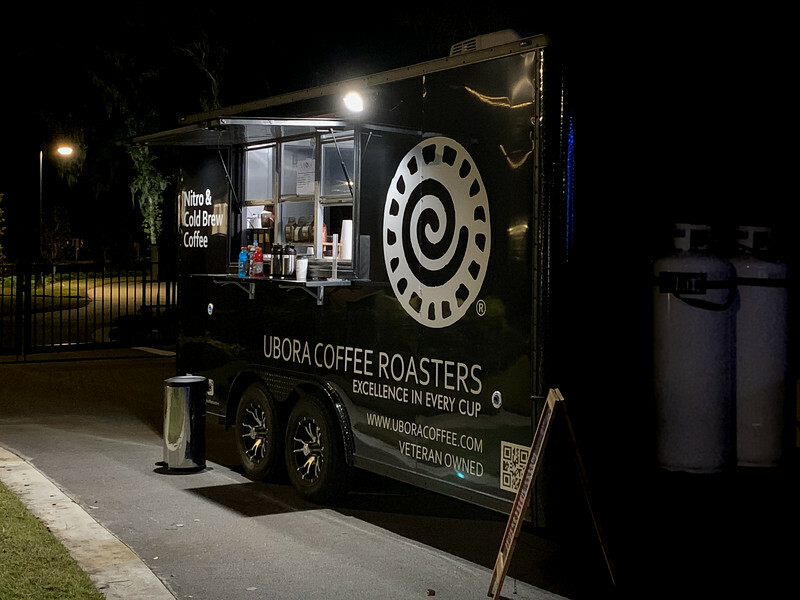 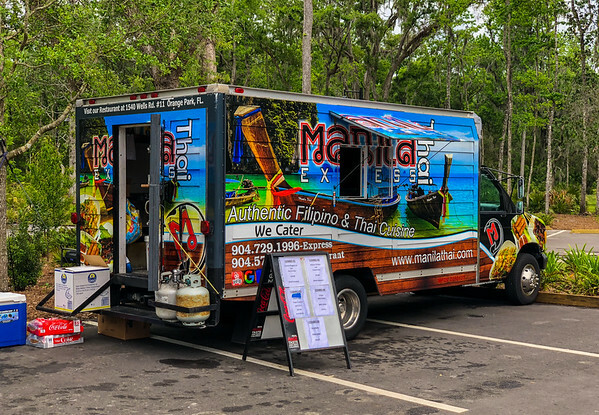 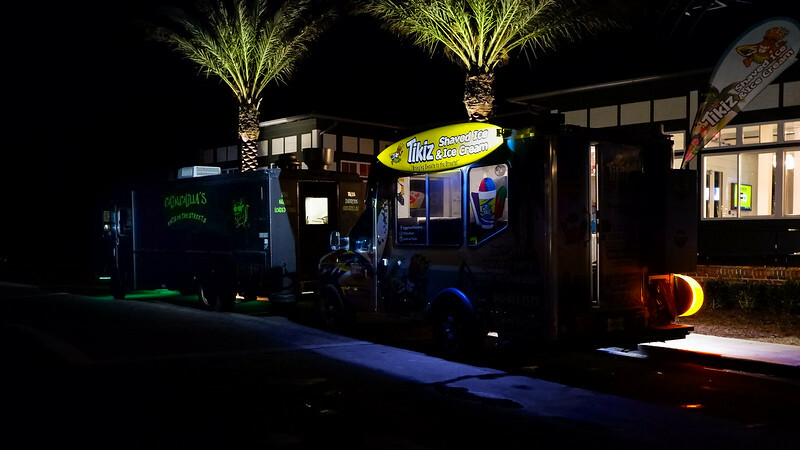 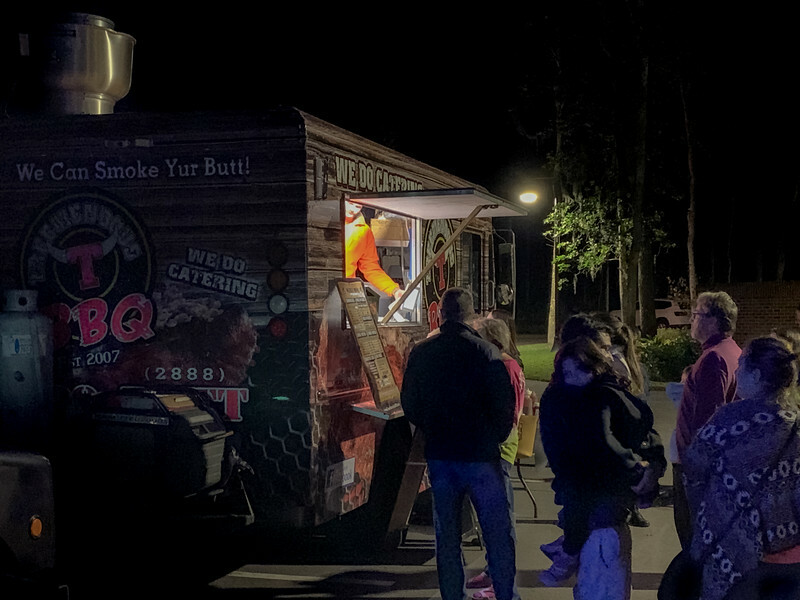 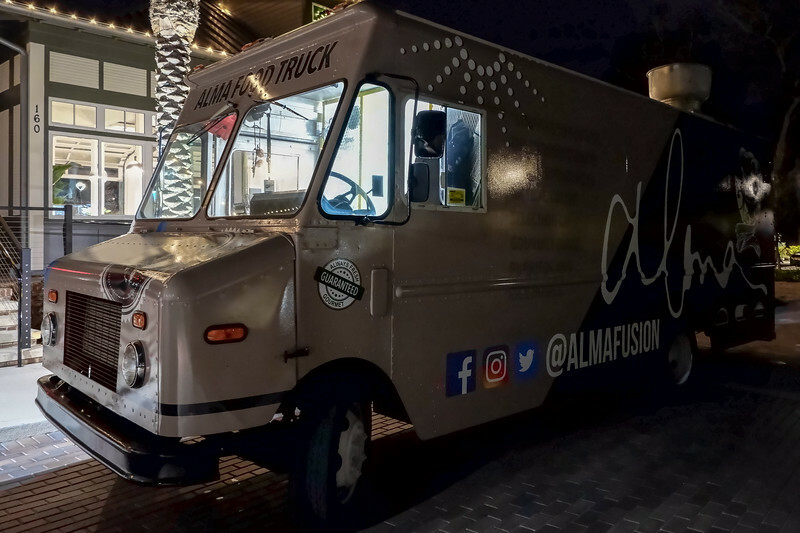 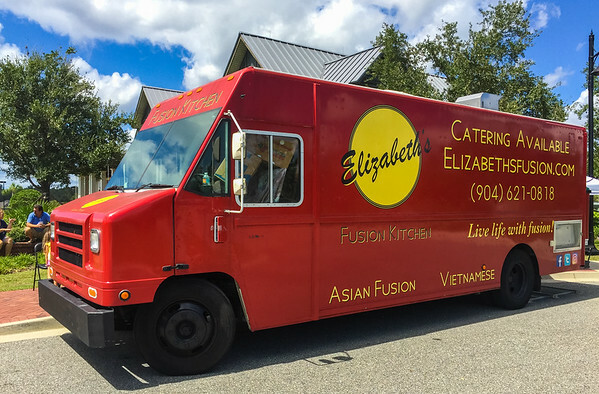 Food Truck Friday and other events held in RiverTown in St Johns, Florida. 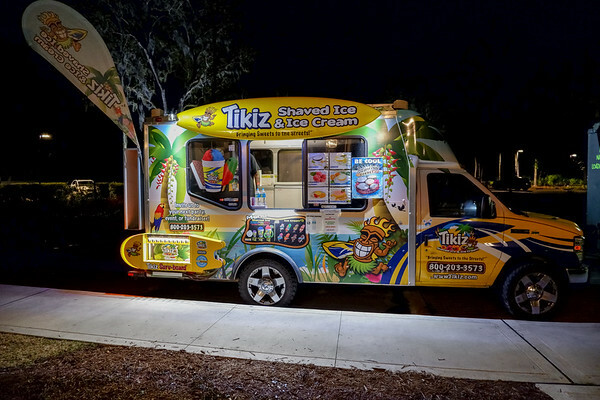 Sweeto Burrito, Tikiz Shaved Ice & Ice Cream, PIE95 Wood Fired Pizza - RiverTown, St Johns, Florida. 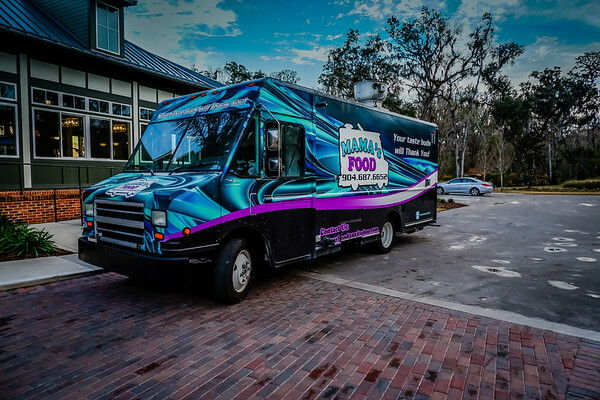 Food Truck Friday at RiverTown, St Johns, Florida. 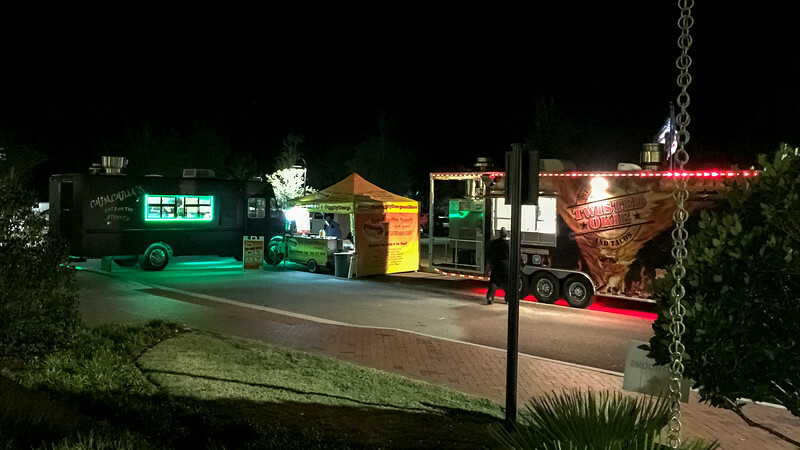 Food truck at the Riverhouse during the power outage. 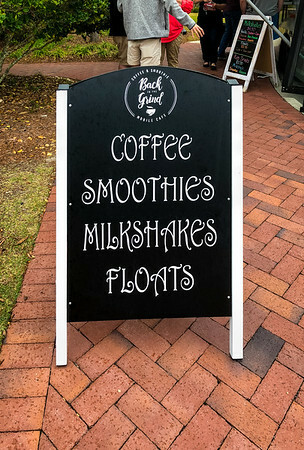 RiverTown, St Johns, Florida.